Dj Mahoota has come to Itumeleng Khune’s defence after a video of the Kaizer Chiefs goalkeeper offering to buy a bus and Moja Cafe in Soweto went viral. The video, which went viral on Twitter, divided social media users, with some slamming him for the “embarrassing” video, while others defended him and said he was only having fun. Mahoota, who was also at the party that Khune and his friends went to, has defended the Bafana Bafana goalkeeper, saying there was nothing wrong with what Khune did. The Ziwa Murtu hit maker says Khune is within his rights to party and be “naughty” on a night out with his friends. 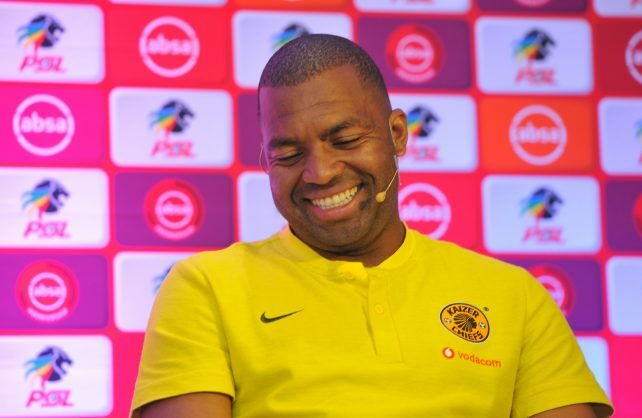 Mahoota added that Khune does not have a drinking problem and does not party before games.